So as some of you may know, I have naturally SUPER curly hair. 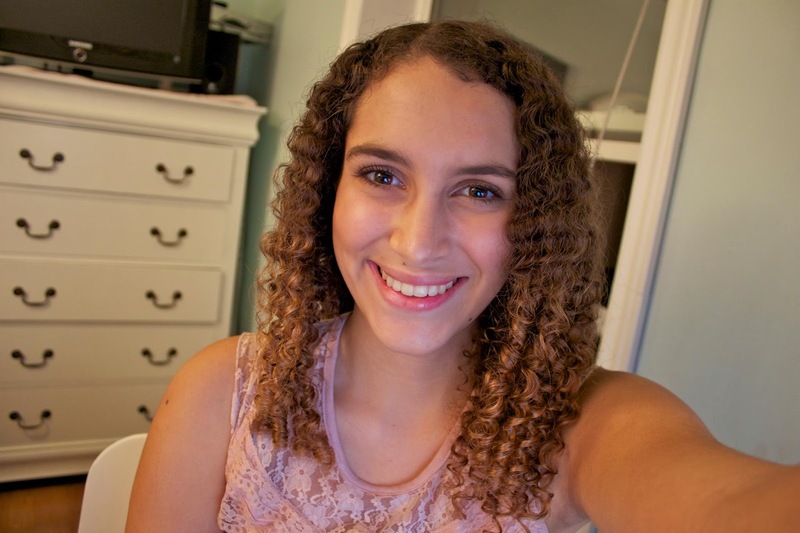 It's hard to believe when you see pictures of me now, but my hair has been through a lot of treatments (view the end of this post to see my 100% natural hair). 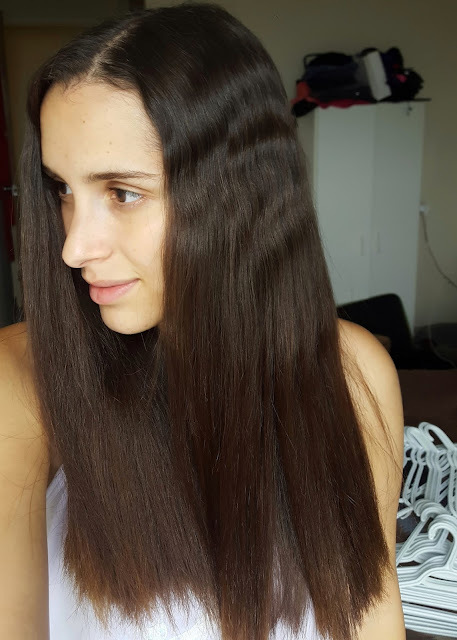 Two years ago was the last time I got a Japanese Permanent Hair Straightening treatment done, so most of my hair is back to being natural, with the exception of the very ends and hair colour since I have died it dark brown multiple times. My hair is no longer spirals as much as it once did due to all of the heat styling on the regrowth, but it's still very curly and puffy. 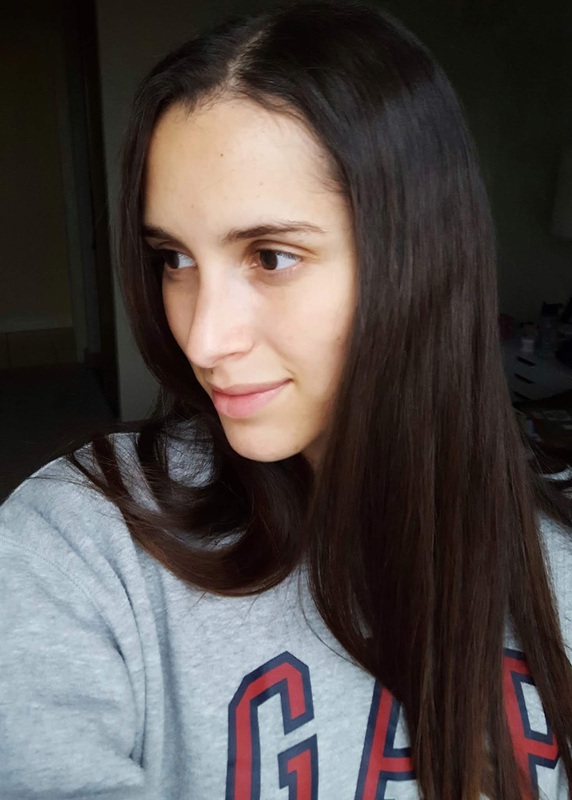 I've been wanting to get a keratin treatment done for a while now since it isn't permanent, which will allow me to eventually return to my natural hair (kind of) and would make my life much easier too. 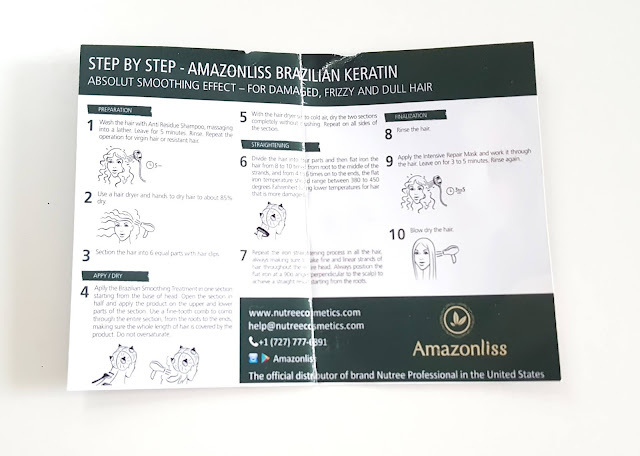 I ran into the opportunity to review this Amazonliss Keratin Treatment in exchange for the product a while back. It's been several weeks now since I've done the treatment and I can confidently say that I'm very impressed. I'm going to walk you through everything I had to do with pictures, and then I will give my final thoughts for this moment. Below is what my hair looked like after washing it (I used theAnti Residue Shampoo from the kit) when about half dry. As you can see, it's pretty wavy and already starting to become a mess. 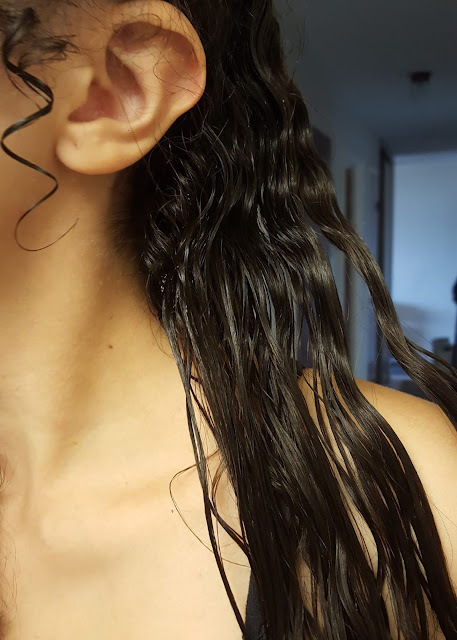 The last picture shows you the type of ringlets I get on my less damaged hair. 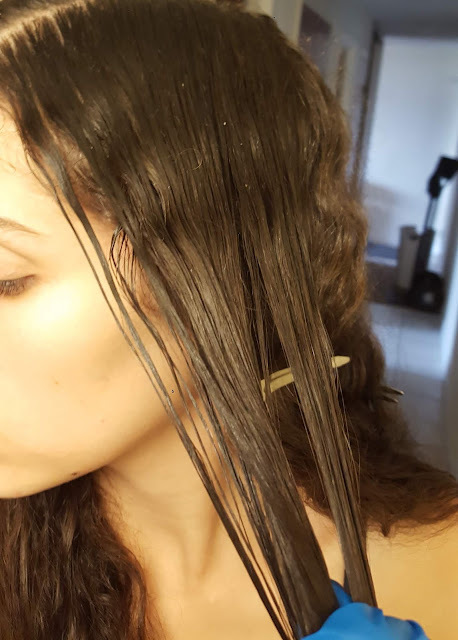 After my hair dried naturally to about 85%, I sectioned it off and started applying the Brazilian Smoothing Treatment. This made it pretty wet again, but since it was sectioned off into multiple parts (as seen below), drying it completely with cool air wasn't too bad. 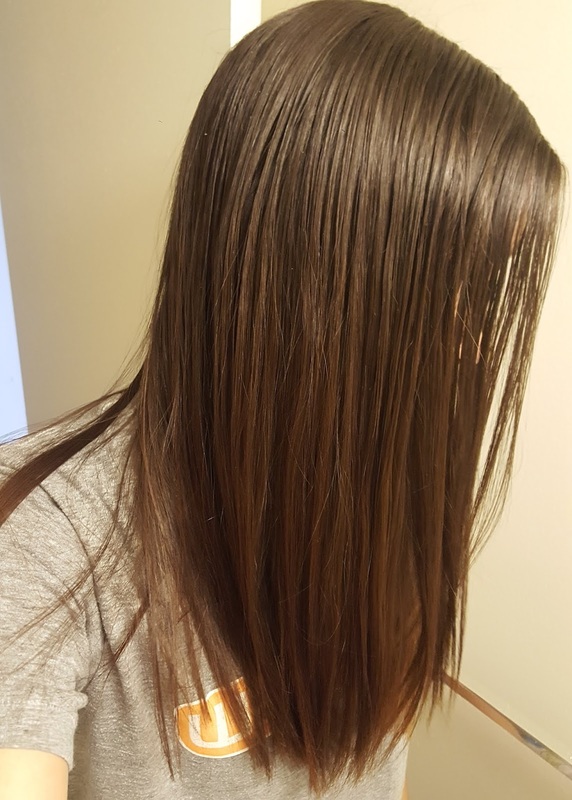 The second picture below is my hair 100% dried after the Smoothing Treatment. As you can see, it was already a bit straighter just from that. The next step was to straighten every single hair I could get my hands on. This took a very long time because the hair felt like there was a ton of product in it. While this product does not contain formaldehyde, this really burnt my eyes. I recommend some sort of eye protection because it was very hard to get through, even with my windows open and washroom fan on. After finally finishing to straighten my hair and allowing my eyes to recover a bit, this was the result. It appeared very greasy, but that's ok because the next step was to wash it all out and use the Intensive Repair Mask. Thankfully washing my hair out didn't hurt my eyes. I did stand under warm water for a long time before attempting to open them, but I had no issues. 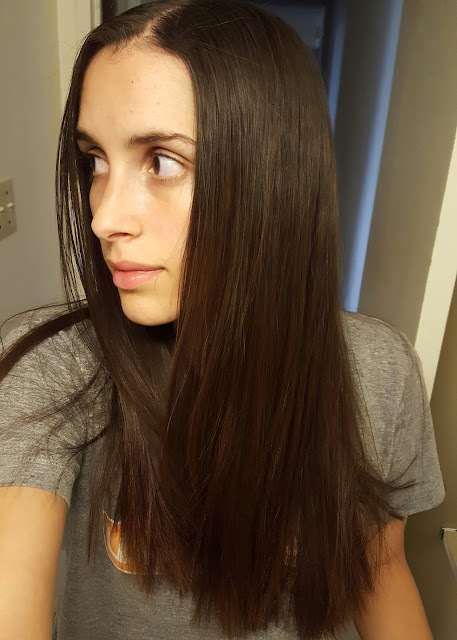 My hair felt insanely soft and silky while washing and using the repair mask. I've been exclusively using my Chorus Supernatural shampoo for other washes since doing the treatment since it does the job while being very gentle. I've washed it three times since (I wash my hair once a week) and so far no issues. The next step was to dry my hair 100% (no temperature mentioned) so that's what I did, and I put it on high heat to make things quicker. I was very surprised at how much smoother my hair was after doing this. 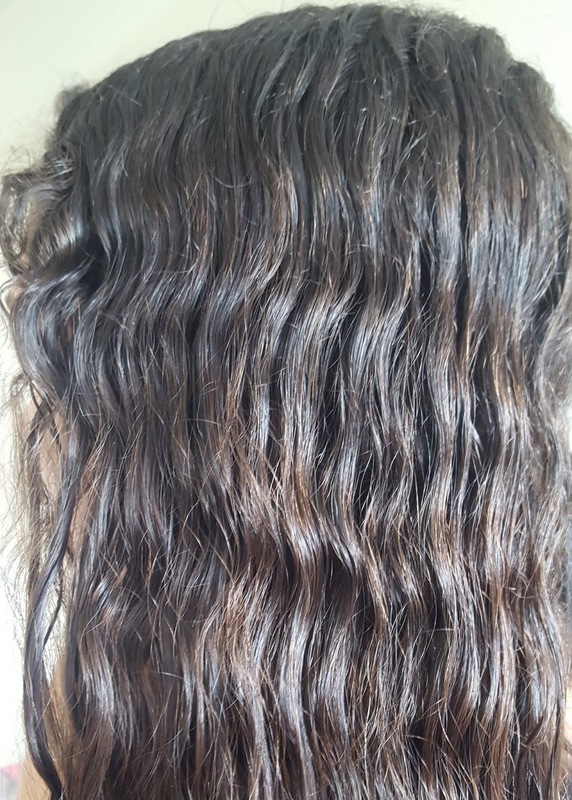 Yes, it's still wavy on top and requires me to straighten it every time, but it's a million times easier. 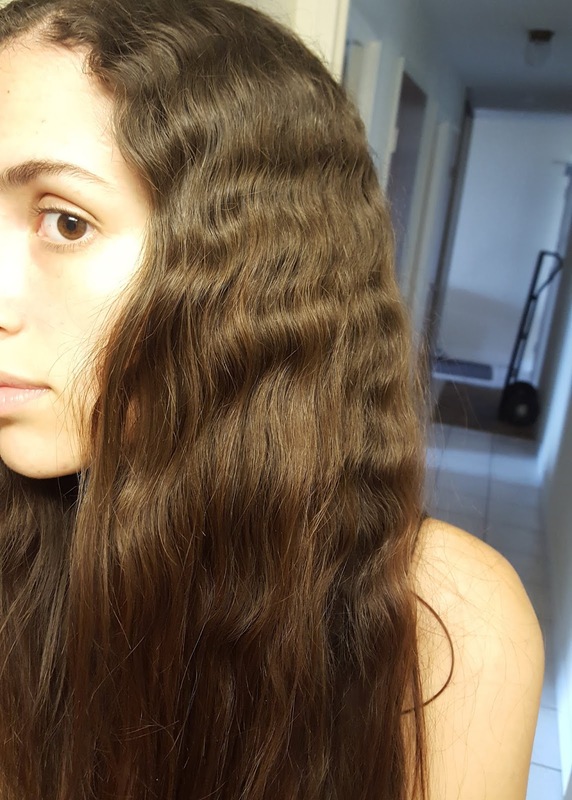 I suspect that if you have regular wavy hair, or straight, but frizzy, that this would work perfectly without any straightening required. Here's my hair after straightening! 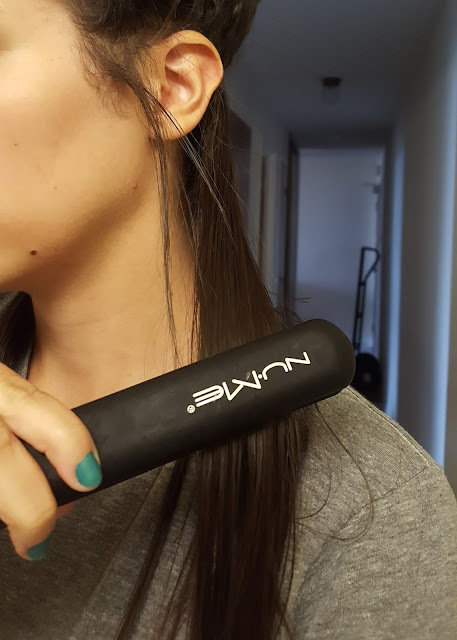 I didn't realize that I didn't do a great job straightening it here (I was also very impatient and tired after spending hours doing the treatment on myself), but this was very quick. From the time I started drying my hair to the time I was done straightening it, it had only been 20 minutes. Before the treatment this would take me about an hour and a half. Now that I have washed my hair three times since doing the treatment, I feel comfortable giving this review. While it still takes a bit of time for me, this is 100% worth it and I will gladly purchase this product on my own when my hair is back to normal. My hair isn't as straight as it was the first time, which means it is wearing off rather quickly on me, but since I wash my hair once a week, I suspect it'll take two to three months to be completely back to normal. While that doesn't sound like a lot, this saves me a lot of time and trouble, so it makes the price worth it for me. The price on Amazon is currently $55 (USD), but that may go on sale so I will keep an eye out. After six months to a year my hair will be completely natural again so I will be able to wear it curly when I want to, or straighten it. 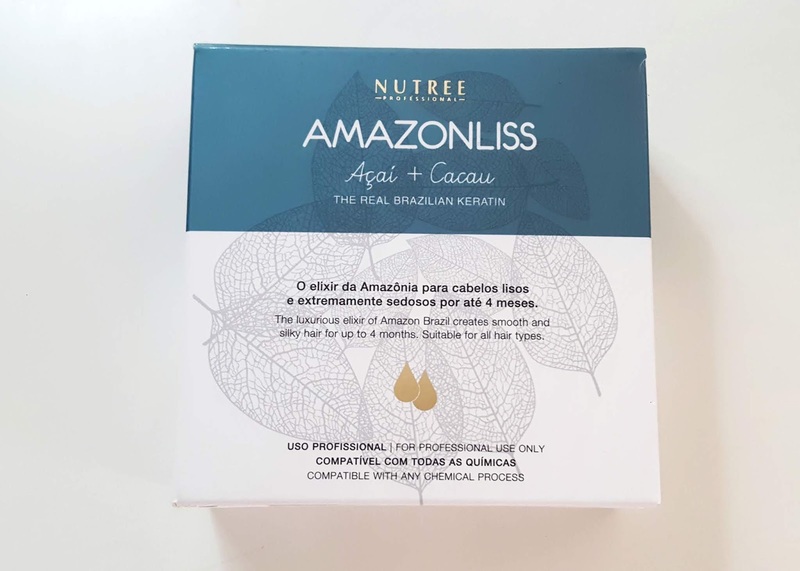 There is a lot of information on the product, where to purchase and before and after pictures on the Nutree Professional website, so please check them out for more information! I will definitely be filming a follow up video in a month or two to update everyone on how well this has lasted, and to answer any questions people may have, or express concerns, but for this review with what I've seen so far I am super happy with the results, and recommend trying it out! 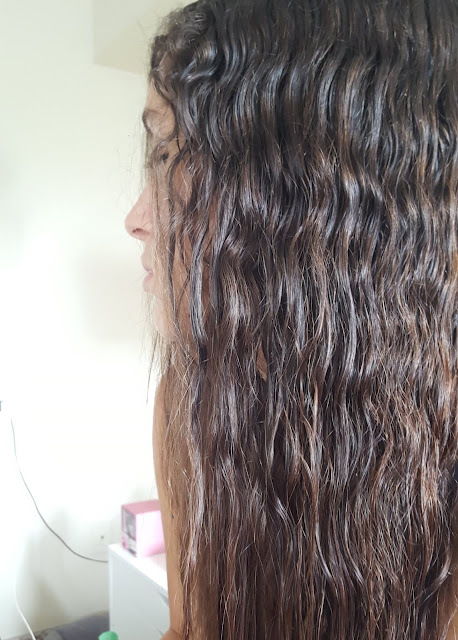 Also, check out my 100% natural virgin hair before I ever had any treatments or colour ever done.